Batteries are very important items to the proper functioning of our society today. They are needed to run so many essential gadgets from phones, to laptop computers, to electric cars, to forklift trucks. We would be quite lost without them. When all the oil in the world is used up, in approximately 15 years, we will have no option but to use electric cars, electric planes, electric trains etc. electric everything. We will need a lot of special batteries for these purposes. The problems with batteries are that they are very heavy, they don’t last very long, they are slow to charge, and they don’t give out the power fast enough for the very high power need to drive aeroplane propellers for instance. These factors have always been a big problem especially with electric cars. There are already commercially available super efficient, high power / high speed electric motors capable of amazing performance, but the batteries available will not take nearly enough power to go any length of journey. The other limitation of electric cars is that they take ages to charge up, and the batteries will be fit only for the rubbish tip in 3 years of use. 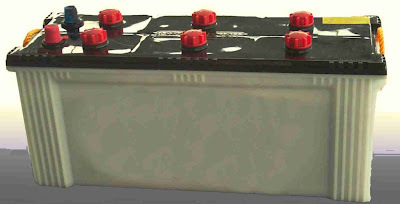 One of the oldest types of re-chargeable battery is the lead-acid battery. This is the type used in most cars, trucks etc. With an efficiency of up to 92%, as little as 8% is lost in the charge/discharge cycle, and durability of up to approximately 800 charges / discharges that is not a lot really, just 2 to 3 years at most. Lead acid batteries have a size to power ratio of approximately 70 Watt Hours per litre. So a 70 Kilo Watt Hour battery would be 1000 Litres in size or 1 cubic meter. A 30 Kw/h battery would be approximately 428 litres. All batteries from the little ones in flashlights to the one in your car use chemical reactions to store and release energy. Because of this chemistry the metals and chemicals inside wear out fairly soon. The harder the use the sooner a battery wears out. 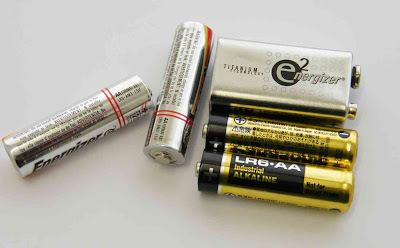 For some time now there has been an alternative to batteries which overcomes all but a couple of the disadvantages. 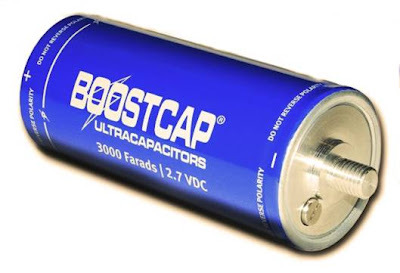 Supercapacitors or Ultra-capacitors. These devices can charge up in minutes or even seconds in some instances, and equally they can give out great blasts of power in a very short space of time. Capacitors store electricity as a field of charged particles between two metal electrodes there is therefore no erosion involved so they last much longer, up to 10 years or even more, compare that against a mere 3 years for most batteries. The problem is that they can only take 4 to 5% of the charge, size for size, of a lead acid battery. You would have to fill an entire car with them to get any kind of mileage. This problem now has been solved. The problem is that storage capacity is proportional to the surface area of the electrodes, so even the most powerful capacitors hold 25 times less energy than similarly sized standard chemical batteries. 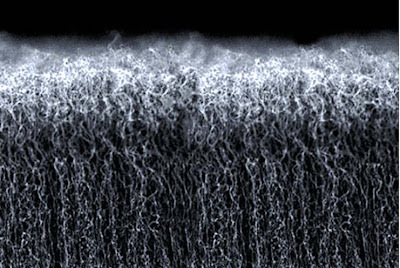 MIT have discovered how to grow fur on sheets of metal!!! I joke you not - this is the truth. The MIT researchers have solved the capacitor problem by covering the electrodes with millions of nanotubes (like hairs - only microscopic). The nanotube “hairs” increase the surface area of the electrode many times over thus allowing the capacitor to store much more energy. MIT’s capacitor has succeeded in combining attributes of present day batteries with the long life expectancy and speed of charge of super-capacitors. When these new storage devices are fully optimised and commercially available they will help change the way we handle electricity. In electric cars they will provide very high power combined with the ability to make long journeys between charges, and very fast charging – just like filling a fuel tank just minutes of a stop off. In the use of solar and wind power these capacitor-batteries can provide a safe durable maintenance free way of storing power. It may well be that every house in every town and city will have the roof covered with high efficiency nano technology PV solar cells. These will feed into a nano technology super capacitor battery about the size of a fridge capable of providing all household power for days. It could completely revolutionise the way we deal with power and energy. Micro-generation could become a viable alternative. Micro generation what is it?? It is jargon as usual – it means generating electricity in very small ways by wind turbine, PV Solar Cells etc. Lots of people already have these devices. But if you are not using electricity on a windy night when your windmill is whirring away, it is lost forever. Lead acid battery packs are being used by some people but they are high maintenance, awkward, and only last a few years. With the advent of these new Capacitor-Batteries, along with development of modern inverters and power controllers, power generated can be stored and effectively used when needed. So, in the near future, new type high-efficiency nano-technology PV solar cells on the roof generating power in bright daylight or sunlight, and a small turbine at the bottom of the garden whirring away throughout the night could provide all the power needed for a home to function. Sure - you know all new gadgets will be very expensive for a while, and then the price will drop to one tenth of original. In a few years self-powered homes could really be 100% environmentally friendly and financially viable alternatives to connecting to the grid.